One of my students was very skeptical about this business at first. When he told his wife he wanted to take $5,000 from their line of credit to travel to a Tax Sale, she nearly lost her hair!!!! To make a long story short, Jazz took the plunge into the profitable lake of Tax Deeds, and it was one of the best decisions of his life. Jazz bought multiple properties dirt cheap at his first sale!!! If an unemployed man from Canada, who is expecting a child can take the plunge, I know you can do it too. 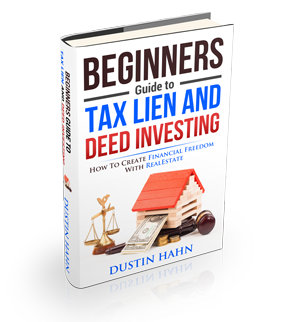 Check this out if you want to truly succeed with Tax Lien & Deed Investing. It’ll change your life.